Papercrafts by Patti: Pals Paper Arts Preview! 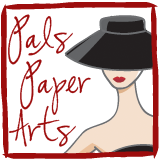 Join us this week at Pals Paper Arts Challenge! Won't you play along? It's fun, it stretches your creativity and challenges you to try new things. What will it be this week? Visit tomorrow and find out. Then make your card or paper project, upload it with a direct link to your online gallery or blog and you are PLAYING! This week if you play along, you will be eligible to win Blog Candy, offered by one of our Design Team members. We hope to see your creation this week! 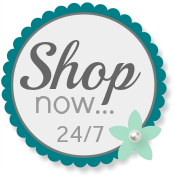 In the mean time, you can order your Stampin' Up! supplies by using my easy Website. Your order will be shipped directly to your door. Thanks for visiting, blog friends! If you have any questions, please don't hesitate to ask by emailing me.